. يقدم Okiwa Bay Lodge خدمات لا غبار عليها وكل أشكال اللياقة وحسن الضيافة اللازمة لإسعاد ضيوفه. يقدم الفندق خدمة الغرف على مدار الساعة, واي فاي مجاني في جميع الغرف, مكتب الاستقبال على مدار الساعة, مرافق مخصصة لذوي الاحتياجات الخاصة, تسجيل وصول/خروج سريع لضمان الراحة القصوى لضيوفه. في الفندق غرف نوم يتجاوز عددها 4، كلها مجهزة بعناية وجمال وبعضها مزود بـ تلفزيون بشاشة مسطحة, اتصال لاسلكي بالإنترنت, اتصال لاسلكي بشبكة الإنترنت (مجاني), حوض الاسترخاء, غرف لغير المدخنين. سواء كنت من محبي الرياضة أو كنت تتطلع لتفريغ عناء نهار صعب، ستجد خدمات ذات مستوى عالي بانتظارك كمثل حوض استحمام ساخن, حديقة. يشكل Okiwa Bay Lodge بخدماته الراقية وموقعه الممتاز، قاعدة مثالية للاستمتاع بإقامتك في بيكتون. Beautiful views and lovely accommodations. Breakfast was delicious and host provide excellent tourist advise. Host were forgiving of my reservation mistake. Nice place and friendly hosts. Please accept my apologies for my late response to your lovely review. Thank you. It is our pleasure to share our unique home with travellers from all over the world. Our views are certainly spectacular and ever changing. We do try to ensure that all our guests enjoy their stay with good company, food and relaxation. We do hope that one day in the not too distant future you will return again. 1. Susie and Martin are extremely courteous owners who make you feel right at home. 2. The view is priceless. 3. Overall a wonderful relaxing experience. The moment we arrived Susie and Martin greeted us with welcoming tea and crumpets. The two hosts are very interesting people to talk with and ensure thier guests feel welcomed. 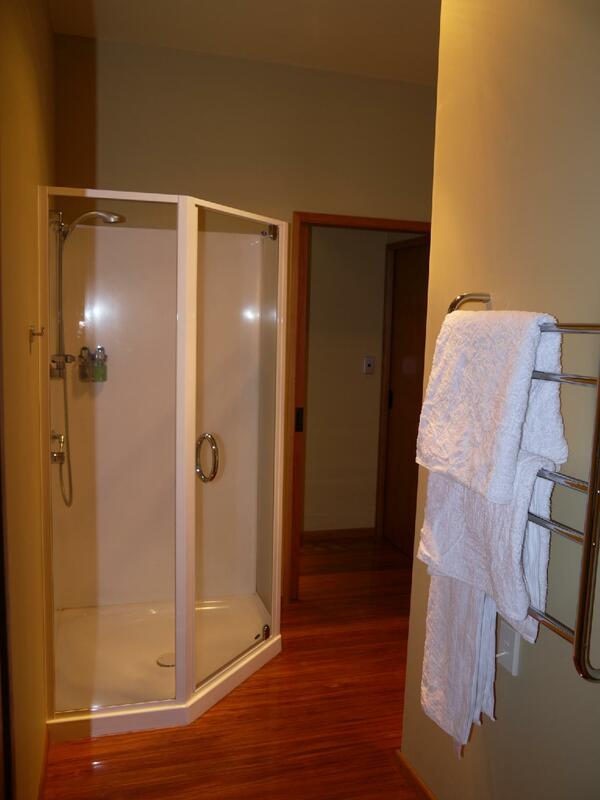 The room was fresh and up to date with a great bathroom and very comfortable bed. Waking up to the view of the sound is a priceless experience. An excellent and memorable visit. 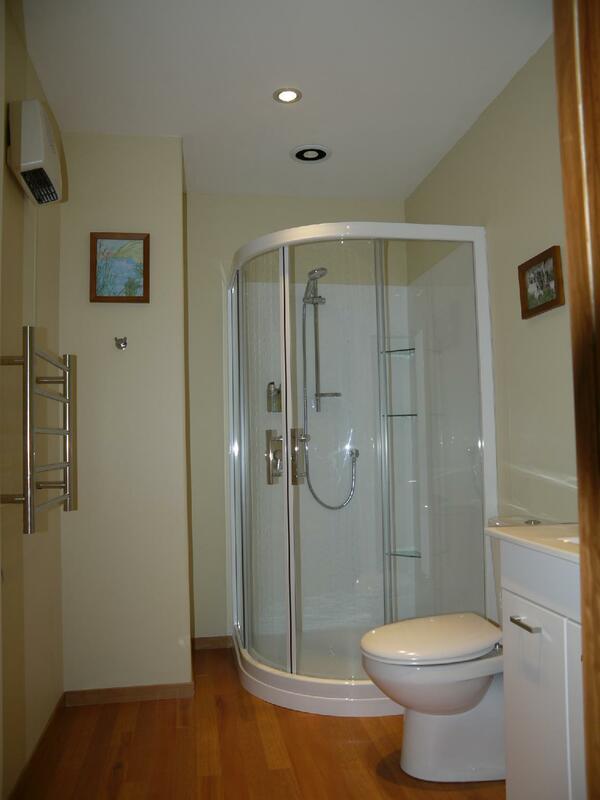 Warm and friendly hosts and very attractive accommodation. We stayed in 14 different locations in the past month but this was by far the best and THE most comfortable bed too! 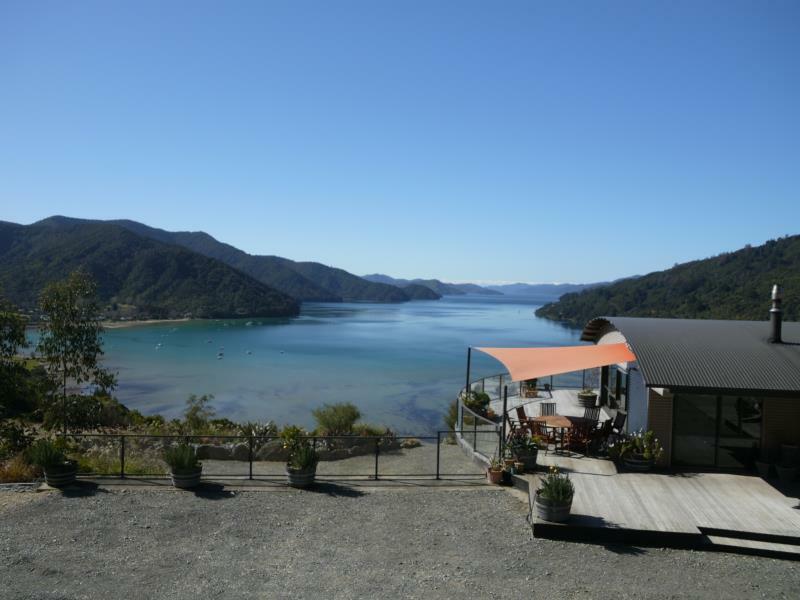 staying at the okiwa bay lodge was a highlight of our 3-week trip to new zealand and australia. 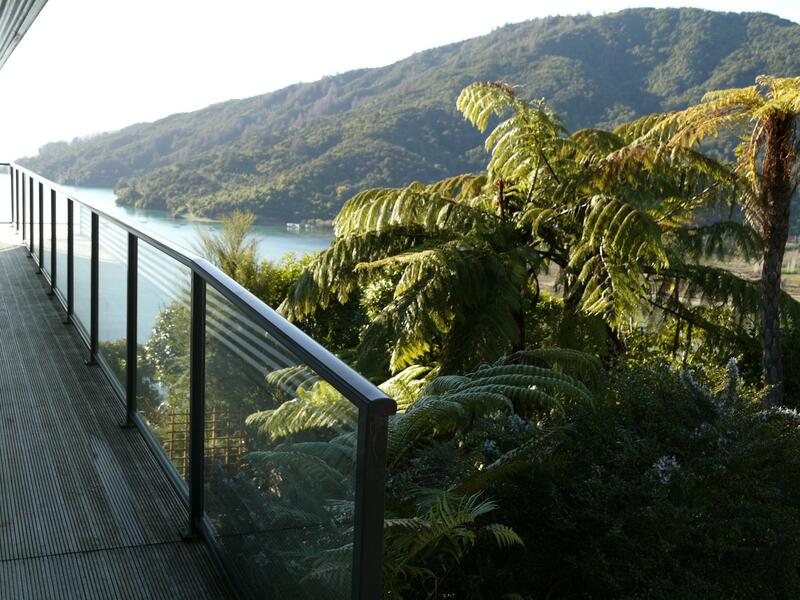 watching the sun rise over queen charlotte sound from our room was unforgettable. susie and martin were perfect hosts and we enjoyed all the time we spent relaxing on their deck, eating excellent meals they prepared, and driving with them up and down the windy road from picton to their lodge. 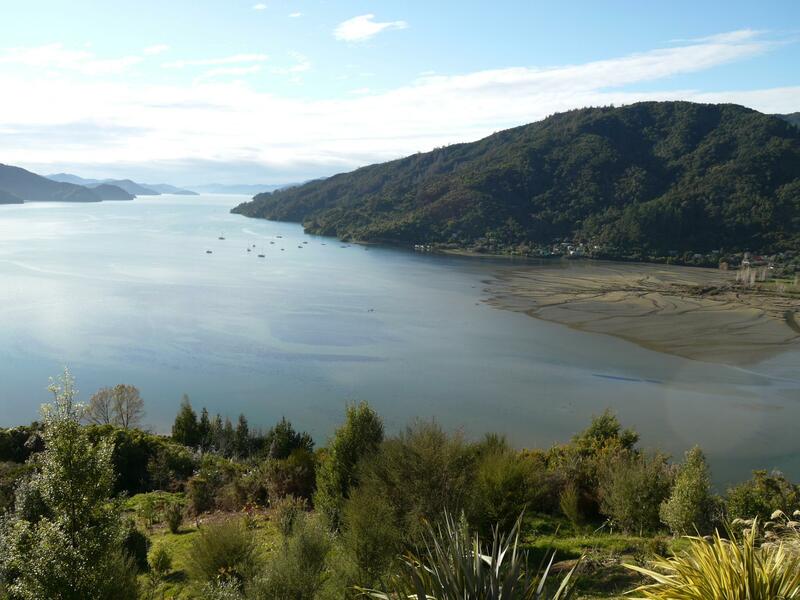 since we did not have a car, they not only picked us up from the ferry terminal, but also took us back to picton the next day so we could do a wine tour and to the airport at blenheim on our final day. the obl is about a 40 minute drive from picton, and a little isolated, but it worked perfectly for us. we definitely plan to come back! The view from Room 1 was out of this world. the place is astonishingly beautiful. and i must qualify my review with the following.... i generally dont like b@b's as i prefer my privacy and so therefore choose to stay in hotels and selfcontained accommodation. as this was a lodge i had assumed that perhaps it would be more like an upmarket hostel where you werent sharing with the owners but rather with other travellers. in actual fact it was a bed and breakfast, so if you like that kind of thing then this is an exceptional one. view from the deck and bedroom are second to none, super friendly hostess, modern and clean rooms, everything was perfect. from the main highway, with 25 minutes driving into the and around the green hills, we arrived at a breath taking lodging. without any preparation, the view from the deck was second to none (after having been to milford sound and doubtful sound), as if you were sitting in between the hills. cooking up a hot bbq, cold beer, chatting with super friendly staff, life is good! Die Aussicht ist exzellent u. die Gastgeber sehr freundlich. Die Zimmer eher klein u. nur mit dem nötigsten ausgestattet. Man ist auf den Gemeinschaftsraum angewiesen, auch beim verstauen eigener Verpflegung - die man aber braucht, das nächste Restaurant ist mit dem Auto ca. 30 min entfernt. Wer aber ein tolles Quartier in exponierter Lage mit Familienanschluss sucht liegt hier richtig.